Stickman Hook is a very good game to play in your free time. A unique arcade game created for mobile devices. It was set on a 2D platform made up of “points” where you can grasp like Spiderman. 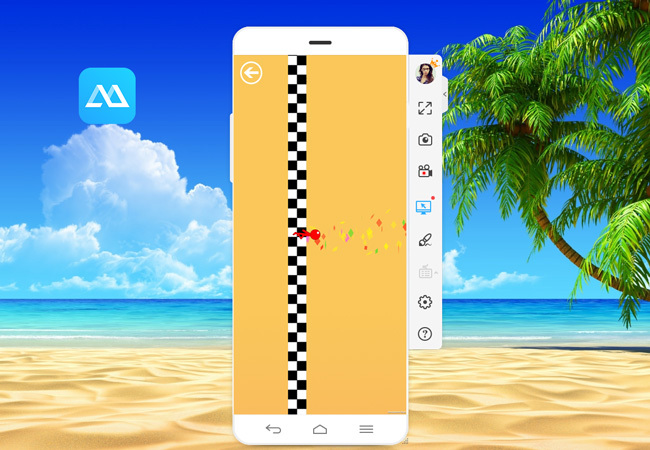 Moreover, you just need to tap on the screen of your device in order to swing from one point to another to make it to the finish line in one piece. With that said, being able to play Stickman Hook on PC is very fun and more enjoyable with a clearer and bigger screen display. That is why we are offering you the best application to cast your phone’s display to a PC. ApowerMirror is a wireless application that is available on both PC and mobile devices. This wonderful tool allows the users to mirror their phone’s screen content to a larger screen display like a PC or Mac. This program is also capable of streaming videos, pictures, music and other applications from your phone. Moreover, this tool lets gamers play mobile games on PC and can directly control the gameplay using a mouse and keyboard. This tool is useful because it is packed with lots of advanced functions that make the gameplay smooth and hassle-free. Below is a guide on how to play Stickman Hook on PC using this wonderful application. Download and install the application on both PC and Android device then launch it afterwards. Connect both devices using a USB cable. Turn on USB debugging on your Android and select “Allow this from computer”. After the app has been successfully installed, open it and tap the “M” button at the lower-middle part of the screen. Select the name of your PC and then tap “START NOW”. 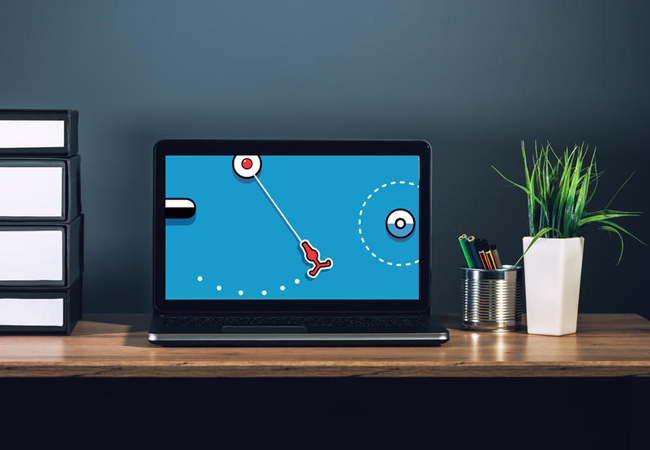 Finally, open Stickman Hook on your phone and start playing using your PC. Try to slow down a bit you can gain better control during the game. The easiest way to slow down is to tap the screen to hook your player to the nearest platform. Let him swing for a while to reduce the speed. This tip is recommended in most levels of the game. To hook or not to hook. Sometimes, you do not have to hook onto something before you reach the finish line. 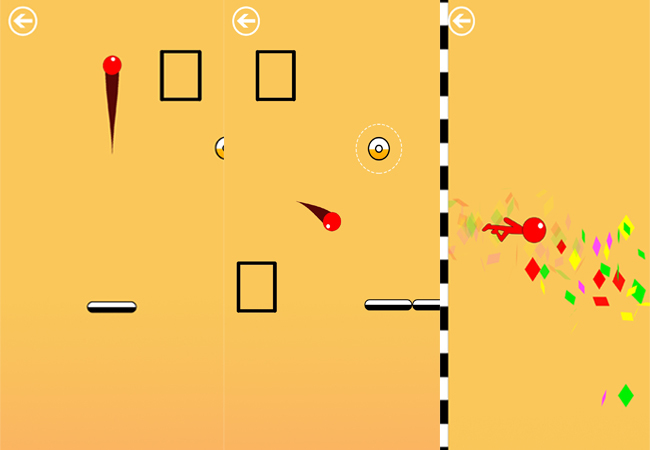 Trying to hook all points will totally kill your momentum, making it almost impossible to finish the level. Try to get to the finish line in as few swings as possible, at least at the early stages of the game. Some levels of this game have bouncy platforms; when you encounter one, make sure you test your bounce first before snapping out with your grip. See first how far the bounce will take you before attaching yourself to another point. Furthermore, some bouncy platforms may even take you all the way to the end of the level; others will just send you quite a good distance before hooking on to anything. So take advantage and make use of the platforms. Each level should be considered a puzzle that you need to solve. Some require a specific move that you need to do in order to complete the stage. Take your time to think of a better solution on how to complete difficult levels. One good thing in this game is that you can always see how close or far away you are from the finish line. The meter at the upper part of the screen shows you how much distance is left for you to cover. Sometimes, jumping forward when the meter is almost full might lead you to victory. If you find it hard to complete the game and your current level seems impossible to finish, you do not have to uninstall the app. Instead, you can watch the video ads and just skip the level. However, if those ads become very annoying, there is a trick for you to get rid of them, simply turn off your Wi-Fi or mobile internet when playing the game. This is the best way on how to play Stickman Hook on computer. You’ve been provided with some tips and tricks, so you may now be able to play this game as best as you can with a larger screen display with the use of ApowerMirror. Furthermore, this tool also offers a lot of functions and additional features to make your gameplay smooth and easy. Rating: 4.3 / 5 (based on 15 ratings) Thanks for your rating!